In this post, I want to share and let everyone know why juice is good for you and I am sure everyone knows water is very beneficial for you, but also why fizzy drinks are not good for you. There are a lot of health issues that can be raised with fizzy drinks because they can seriously make you ill, me personally the gas in the fizzy drinks really affected me and as soon as I stopped drinking fizzy I noticed a massive difference, going to the toilet on time not having gas or bloating problems it took some time but my body did recover from the fizzy drinks. You have probably seen all over the internet how people clean their toilets with coke and just think you are drinking that same drink, I know it's not good to think about but no matter how good it tastes it affects your body within you. If you can stop quick it will be good for you otherwise it can become an addiction. This video will give more information about what we are actually drinking and eating, we need to make sure we know what we eat and eat healthily. 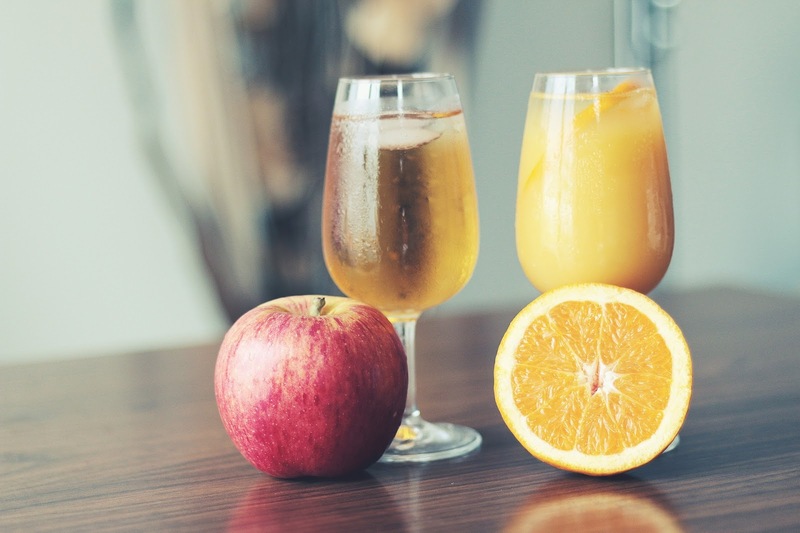 I have switched from fizzy drinks to juices, I am not really fond of orange juices because they are tangy for me and I feel as though they can sometimes affect my throat but I do have it once in a while, but I love apple, mango, tropical and blackcurrant juice. You can also give vegetable juices a try, it will be like a salad in a form of a drink, healthy and also delicious. If you haven't got a juice maker a blender will also do the job. If I don't have time to make juice which is most of the time I drink ready made juices I normally go for the ones from Asda or Tesco brand which is around 75 to 79p per litre which is cheaper than fizzy drinks. If you can't cut down all at once I suggest minimising the intake of fizzy drinks, so maybe only having half a glass or one glass a day you will find it much easier. The best liquid I can recommend to you for your body is water. The best and most healthy water on the earth is zam zam water, it is very beneficial for the body and is recommended to stand up and drink it as it purifies your whole body inside you, other drinks you sit down and drink because they do not purify your body inside instead cause harm. Also, check out this Juicing article for more information on why juicing and juices in general are good for you, it includes recipes as well for making different types of juices.